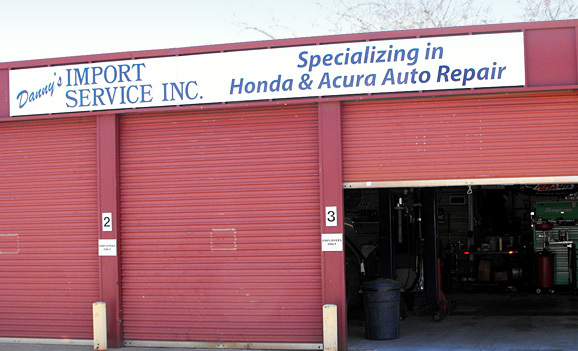 Welcome to Danny’s Import Service, Inc. We work on Hondas and Acuras exclusively and are celebrating 22 years in business. Our technicians have over 100 years of combined experience, and we are a Better Business Bureau Accredited Business. We have two convenient locations, one at Business 121 and I-35 in Lewisville, and one in Hurst at Grapevine Hwy (SH 26) and Mid-Cities Blvd. We pride ourselves on being able to handle any type of service you could need. But even more so, we take pride in being honest and fair to our customers. Please take a moment to browse our website to see the services we offer. please call (972) 434-4488. To make an appointment in Hurst, call (817) 577-4400.